FROM Mon 2 – Sat 7 November, the award-winning play The Curious Incident of the Dog in the Night-Time will visit Milton Keynes Theatre. Winner of 7 Olivier Awards including ‘Best New Play’, The Curious Incident of the Dog in the Night-Time brings Mark Haddon’s best-selling novel to thrilling life on stage. Curious tells the story of Christopher, fifteen years old with an extraordinary brain; he’s exceptional at maths while ill-equipped to interpret everyday life. When Christopher falls under suspicion of killing his neighbour’s dog, he begins a frightening journey that upturns his world. Milton Keynes Theatre has joined forces with The National Theatre to run a week long Curious theatre project for pupils of The Walnuts Residential Special School in Milton Keynes. Twenty pupils from the school, ranging in age from 11-18 years, who are all on the autistic spectrum or have social communication difficulties will take part in this exciting drama project. The students will each have the opportunity to work with professional actors from The National Theatre on an inspiring theatre project exploring the production and learning about drama and how it can aid communication skills and build confidence in young people. The course will culminate in the students taking part in their very own performance to the rest of their school. During the course the pupils will also have the chance to visit Milton Keynes Theatre to see the award winning production of Curious and to take part in a unique “page to stage” workshop also led by The National Theatre. To be able to run this life changing project MK Theatre needs your support. Just £1000 will enable this group of extraordinary pupils the chance of a life time to take part in a theatre project led by The National Theatre and see an award winning production. Can you help us make this project happen? Local people are encouraged to develop and share their creative talents at The Core at Corby Cube, at the next monthly Local Artists: Play sessions, on Sunday 27 October, from 2pm to 6pm. These regular monthly sessions, facilitated by The Core’s Creative Director Chris Sudworth, offer an open house for local artists and performers to jam, rehearse, collaborate and try out new ideas. Dancers, DJs, writers, actors, musicians, film-makers, digital and visual artists are invited to use The Core’s creative spaces, free of charge, to develop their work. Local Artists: Play sessions this Autumn are on Sunday 27 October and Sunday 24 November, from 2pm to 6pm. The sessions are free and anyone aged 16 or over can take part. The next Local Artists Showcase will be scheduled for January 2014, offering the opportunity to share work in progress or perform. Take part in a creative workshop inspired by the drama of Le Corsaire, an epic tale of love, conspiracy and betrayal. Learn extracts from the ballet, develop your choreographic skills and learn about the strength and artistry required to be an English National Ballet dancer. Take part in a ballet class focussing on core technical elements of flexibility, strength and alignment. Learn extracts from English National Ballet’s production of Le Corsaire, an epic tale of love, betrayal and conspiracy. Children, young people and adults are all encouraged to Get Involved at The Core at Corby Cube this Autumn when a new term of weekly classes start in mid-September. The Get Involved programme offers sessions in dance, drama and digital arts, as well as running one off workshops and weeklong courses for the school holidays. This term’s weekly programme includes Moves Street Dance, led by Leah Waterfield, a dance graduate with her own dance company in Kettering. The lively Sparks Youth Theatre under the continued tuition of Emma Boulton Roe. The Core’s Musical Theatre groups, will be honing their singing and dancing skills, working with Phia O’Keefe who has choreographed in the West End, while The Core’s own Creative Projects Manager Lisa Byrne will be working with the dynamic and exciting youth theatre group, Core Company, for 11 to 16 year olds. This term’s Clicks Media group, open to ages 10 to 16, will be working on digital animation, with Andy Eathorne, a film-maker and digital artist. Each of these courses comprises 12 weekly sessions costing £35 for the term. A limited number of bursaries are available for children and young people whose families are facing financial difficulties. More information about bursaries is available by calling 01536 470 473 or emailing getinvolved@thecorecorby.com. All these weekly groups will be working towards a sharing of their work at the Corby Youth Arts Slam on Friday 22 November. Sessions start in week commencing 16 September. Call the Ticket Line on 01536 470 470 to check dates and times and to book places for any of these activities. More information is also available online at www.thecorecorby.com. For families with younger children aged 5 and under, The Core’s free Toddle Time and First Moves sessions continue to prove popular, taking place on Tuesday and Thursday mornings respectively. Get Involved sessions for adults include the Deep Roots Tall Trees Choir, with rehearsals held weekly on a Friday, costing £3 a session. The Core’s resident writers collective The Stand supports writers who wish to develop their skills, at free weekly sessions on Wednesdays. Arts Alive offers over 50s the chance to try a range of activities from music to poetry, dance and drama, for just £3 a session. Artists and performers of all kinds are invited to make use of The Core’s creative spaces at monthly Local Artists: Play sessions, usually on the last Sunday of the month, from 2pm till 6pm. Corby’s young musicians will have the chance to find The New Sound in two masterclasses at The Core at Corby Cube, led by top contemporary jazz artists Arun Ghosh, on Saturday 14 September, and Jason Yarde, on Monday 28 October. Clarinettist Arun Ghosh’s trademark IndoJazz sound is a fusion of original music of South Asian origin with a contemporary jazz attitude, block-rocking urban beats and the passion of punk. On Saturday 14 September, Ghosh will lead the first New Sound Session, where confident young musicians of all styles are invited to respond to each other’s playing and collaborate on new music to be performed when he brings his quintet, featuring the MOBO Award winning pianist Zoe Rahman, to The Core on Friday 4 October. Another leading light of the British jazz scene, Jason Yarde will head up the second New Sound Session on Monday 28 October. The composer, arranger, producer, and saxophonist bridges genres including progressive jazz, classical, hip-hop, free improvisation, R&B, reggae and soul. Jason hopes to see a similarly broad range of music brought together in his workshop, to be performed live when he returns to The Core for a headline show on Friday 13 December.
. Each masterclass costs £5, and musicians are expected to commit to three further rehearsals before their performance alongside the headline artists the following month. The Sessions are recommended for musicians aged 13 and above. To find out more or to book a place, call the Ticket Line on 01536 470 470. If you are looking for an opportunity to learn about drama in a creative, fun and supportive way environment, Milton Keynes Theatre is the right place. Areas we may explore include Mask, Physical Theatre, Mime, Script work, Devising, Movement, Greek Chorus, Voice work, backstage and production skills. If you have always wanted to learn how to dance like your favourite pop stars then join our brand new fun and energetic street dance class. spend an Hour learning funky Street Dance routines to catchy current chart songs. Our Big Gig at The Core in Corby on Friday 12 July, is part of a national celebration of local music taking place from 11 – 14 July. The event will showcase new and existing talent and offer a range of workshops including DJ, VJ, Vocals and Dance, as well as Open Mic and Jam Sessions. The music live show begins at 7pm, with a line up featuring a range of young local bands, including The New Sound Band, Corby Rock School, Oakley Rangers, and headliners Heroes & Cons. This is a free event, but as capacity is limited people are advised to book in advance. People can find out more about Our Big Gig events happening near them at www.ourbiggig.co.uk. To find out more about the Corby event, please view the Corby Promoters Facebook page at facebook.com/corbypromoters, follow us on twitter @corbypromoters or call The Core Ticket Office on 01536 470470. Aspiring actors and singers can gain confidence, hone their skills and make new friends in two Summer Schools being run by Royal & Derngate during the holidays. From Monday 29 July to Friday 2 August, from 10am to 4pm, Musical Mash-Up offers 11 to 16 year-olds the chance to work with experienced theatre professionals to create a brand new musical inspired by their favourite West End shows. Singing, dancing and acting skills will be developed in preparation for a world premiere performance on the Derngate stage. This exciting new project offers something for everyone, from enthusiastic beginners to seasoned performers, and the theatre’s creative team will help each participant to set their own challenges. Younger children can enjoy a Dahl-ightful week at the University of Northampton’s Maidwell Theatre as they create their own adaptation of Roald Dahl’s much loved story, Matilda. The courses for the weeks commencing Monday 29 July or Monday 5 August are fully booked but an extra course has been added to run from Monday 12 to Friday 16 August. Budding actors aged 6 to 12 will transform themselves into some of their favourite Roald Dahl characters over the week, playing pranks, making friends and developing their telekinetic abilities, all leading up to a performance of Matilda at the end of the week. This summer school will provide a fun, relaxed and safe environment where children can discover their individual talents whilst working together towards a performance they can feel really proud of. Royal & Derngate’s Summer Schools cost £100 per participant. For more information, please contact Natalie Diddams on 01604 655777 or email youththeatre@royalandderngate.co.uk. To book a place, call Box Office on 01604 624811. Led by Emily Pollet who has sat on the audition panel at Central School of Speech and Drama – Emily will take you through a mock audition followed by tips and advice on how to improve your performance. You will also have the chance to ask her questions about the process and gain advice on choosing the right monologue. If you love the show Cats and dancing then this is the perfect workshop for you. Taking place on our theatre stage and led by one of the cast of Cats you will be taught sections of dance numbers from the show. Come on Vamanos! Join in the adventures of Dora the Explorer in this fun filled workshop with lots of games, singing, storytelling and activites for all the family to enjoy. Dan Evans presents this remarkable workshop; as a young boy Dan was told he could not sing and he has since proved them wrong! He has created an enjoyable and highly participatory voice workshop where students are encouraged to find their own voice, even if they don’t believe they have one! This September, the Grove Theatre, Dunstable is launching Grove Academy, an exciting new part time performing arts school. Open to all aged 4-18, the Academy will provide all round tuition in acting, singing and dancing. Students of the Academy will not only learn exciting theatrical skills but will also gain confidence and make new friends. 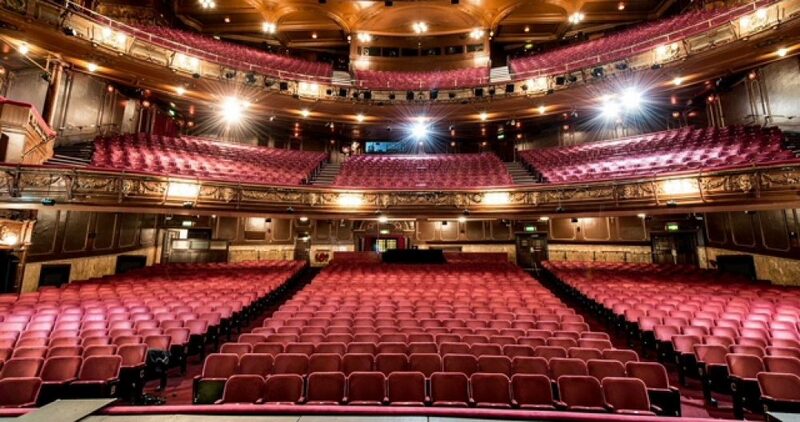 All this will take place within the fabulous purpose built Grove Theatre where the Academy students will also get the chance to perform every year on our west end sized, professional stage. Taught by industry professionals, the classes will run on Saturday mornings with a ‘Mini’ Academy held on Monday evenings for 4-7 year olds. The theatre is holding an Open Day on Sunday 16 June 10am-2pm for people to pop in and find out more about Grove Academy. Throughout the Open Day the tutors will be at hand to speak to, as well as example workshops of the classes. Grove Academy opens as the next step in the Grove Theatre’s education programme, which strives to provide access and opportunities for all to participate in the arts. The theatre also offers termly youth theatre, street dance and musical theatre dance classes, as well a range of workshops throughout the year and annual productions showcasing local talent. Pop down to the Open Day to find more about this exciting new opportunity. Children aged between 2 and 13 can explore the majestic melodies of Russia with members of the Royal Philharmonic Orchestra at Royal & Derngate on Sunday 14 April, with a Totally Tchaikovsky Family Workshop at the theatre. The workshops will take place before Alexander Shelley Conducts Scheherazade with the Royal Philharmonic in the evening, when Rimsky-Korsakov’s orientalist fantasy will be accompanied by works by Rachmaninov and Tchaikovsky. The sessions will use songs and games to introduce children to new musical ideas in a fun and friendly environment. There will also be a chance for them to talk to the players about what life is really like in the Orchestra, and each workshop will culminate in the creation of a brand new piece. 6 to 13 year-olds from 1pm to 2.30pm. No instrumental skills are necessary, but if you can play, do bring your instrument along. Tickets are £2.50 per child (includes accompanying adults), and children’s tickets for the concert start from just £5. Box Office on 01604 624811, or online: www.royalandderngate.co.uk. Actor and dyslexic author Henry Winkler OBE (aka The Fonz) is touring schools and theatres for the EIGHTH TIME from 4 to 15 March as part of the 2013 First News My Way! campaign, in partnership with Achievement for All 3As. Henry will be accompanied on the tour, launching at Downing Street, by Nicky Cox MBE, editor of children’s newspaper First News, who will be enforcing the message of the campaign – the things that make us different make us special. The First News My Way! Campaign has already had a huge impact raising awareness of the needs of children with learning challenges in schools throughout the UK. It aims to dispel the stigma felt by the one in five children in the UK with learning difficulties, raising the self-esteem of children affected and giving their friends a greater understanding of the challenges they face. The reality is that many children who struggle are bullied at school. Henry Winkler and Nicky Cox MBE bring the 2013 First News My Way! campaigne to the Milton Keynes Theatre on Friday 08 Mar 2013. A day of Country Dance with English Miscellany folk dance group is taking place at The Harpenden Public Hall on 16th February. Tickets can be purchased via Brenda: 01582 629732 Helen: 020 83863779. Please note: this event is sold out, so you might be lucky and get a returned ticket. Footloose auditions at The MK Theatre! Milton Keynes Theatre is delighted to inform us that Stage Experience will return in 2013 with Milton Keynes’ very own youth production of Footloose. Stage Experience is a unique two-week summer holiday performance opportunity not to be missed. There are 130 places available for talented young performers aged 10-21 to take part in a full scale musical theatre production and perform in three live shows on the Milton Keynes Theatre stage. Led by a fantastic team of industry professionals, a real live orchestra and organised by Milton Keynes Theatre’s Creative Learning team, why not spend your summer making your performance debut? To be cast in the show you must be available for all dates, including weekends (no exceptions). To register for an audition please email rachaelfindlay@theambassadors.com for an application form. Stage Experience takes place from Mon 19 Aug – Sat 31 August 2013. Places to take part in Stage Experience are by audition only, no previous experience is necessary but you must be prepared to sing, dance and act in front of a panel at your audition and a love of performing is essential. 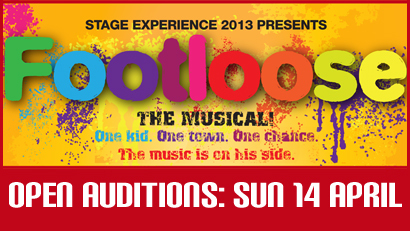 Footloose performances are on Fri 30 – Sat 31 Aug. Performances of Rumpelstiltskin And The Wheel Of Fortune – ideal for ages four and above – can be seen at The Core at 11am and 2pm on Friday 15 and Saturday 16 February. Tickets, priced £5.50 each can be booked by calling the Ticket Line on 01536 470 470 or online at www.thecorecorby.com. There are also free pre-show craft sessions available before the performances, which can be pre-booked at the same time as buying tickets for the show. English National Ballet Easter Dance Residency at Milton Keynes. 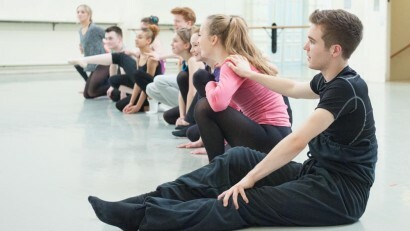 English National Ballet, Milton Keynes Theatre and MK Gallery are delighted to be joining forces for the first time to offer a unique professional development and performance project for dancers aged 16-21. Combining visual art, dance and performance, the residency will work towards an innovative site-specific dance performance inspired by German contemporary visual artist Andrea Büttner, celebrating the opening of her solo-exhibition at MK Gallery. During the residency, participants will be put through their paces with daily ballet and contemporary technique classes followed by the opportunity to learn sections of repertoire led by an English National Ballet artist. Participants will gain a unique insight into Büttner’s work before the exhibition opens, followed by choreographic workshops which will explore the different ways in which dancers can respond to visual art forms. This is a rare opportunity for young, up-and-coming dancers to gain practical experience with some of the UK’s leading arts organisations – not to be missed! To apply participants must be aged 16-21, with one year’s minimum dance experience. Contact rachaelfindlay@theambassador.com or 01908 547651 for an application form. Are You a Wendy, a Peter or a Hook? To be considered for an audition place you must be: Aged 8 years and over, able to act, sing or dance, able and happy to commit to an intensive period of rehearsals and performances. You must be prepared to stay all day at auditions and wear suitable clothing for movement and dance. If you want to audition for a Principal role then you will be expected to demonstrate acting, singing and vocal ability and you must present a prepared vocal piece at the audition. Please be aware that backing tracks are not acceptable. ‘Peter Pan – The British Musical’ takes to the stage on Wednesday 10th – Sunday 14th April and rehearsals will be held in the two weeks prior to this so all successful applicants must be available during this period. For further information or to apply for an audition place please visit The Gordon Craig Theatre’s website www.gordon-craig.co.uk and follow the “Auditions” link. Youngsters are being offered the perfect introduction to the magic of ballet at Royal & Derngate, when the world-renowned Moscow City Ballet visit the theatre to perform The Sleeping Beauty and The Nutcracker. On Saturday 26 January the theatre is offering a special Nutcracker-themed Move, Make & Do activity session for under-5s, and a ballet class for 5 to 8 year-olds, together with a ticket offer for the 2.30pm performance of The Nutcracker. With beautiful costumes and sets, consummate skill, and the magical ingredient of Russian soul, Moscow City Ballet provides the perfect start to the New Year and the ideal introduction to ballet for children. For under-5s and their families there is a one-off, Nutcracker-themed instalment of the hugely popular Move, Make & Do sessions between 11.15am and 12.15pm, with dance, music, art and drama making up an hour of fun. Tickets cost £6 per child, with up to two accompanying adults free. Children aged 5 to 8 can take part in a ballet class from 1.15pm to 2.15pm, and see The Nutcracker at 2.30pm for just £20 with the purchase of a full priced adult ticket. Moscow City Ballet perform The Sleeping Beauty at Royal & Derngate in Northampton from 21st to 23rd January at 7.30pm, with a 2.30pm matinee on Wednesday. The Nutcracker is staged from 24th to 26th January, with a 2.30pm matinee on Saturday. Tickets are priced from £34 to £17.50, and can be booked at the Box Office on 01604 624811 or online at www.royalandderngate.co.uk. Matthew Bourne Themed Contemporary Dance Class Taught by a former New Adventures company dancer this class will give you a taste of the artful world of contemporary dance. To purchase any of the workshops above please contact the Creative Learning Department on 01908 547 651 or 01908 547 637.